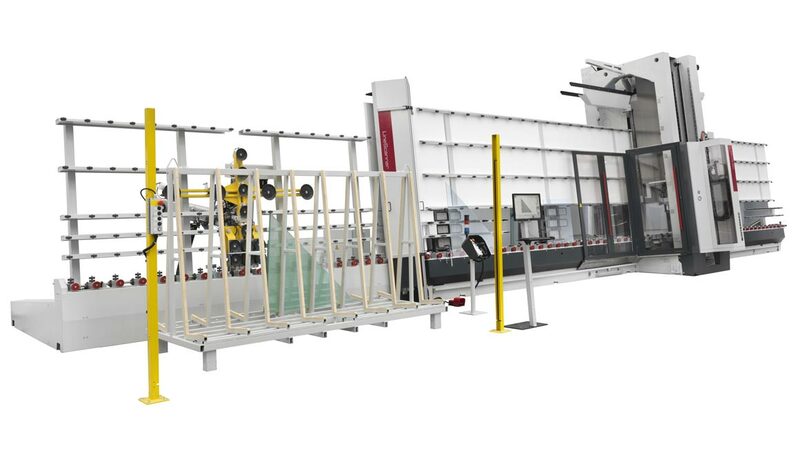 As of today, interlocking Intermac vertical machines offers an additional benefit: V-Loader is the automatic loader designed to remove glass sheets from the pallet, depositing these on the roller bed. V-Loader allows operators to feed sheets into a vertical machine and, where necessary, to interlock two machines so that they function simultaneously at either end, in order to enable a pickup rate of up to 4 sheets per minute. It does not require programming, and adapts to changes in size and shape, with no need to adjust the parameters. 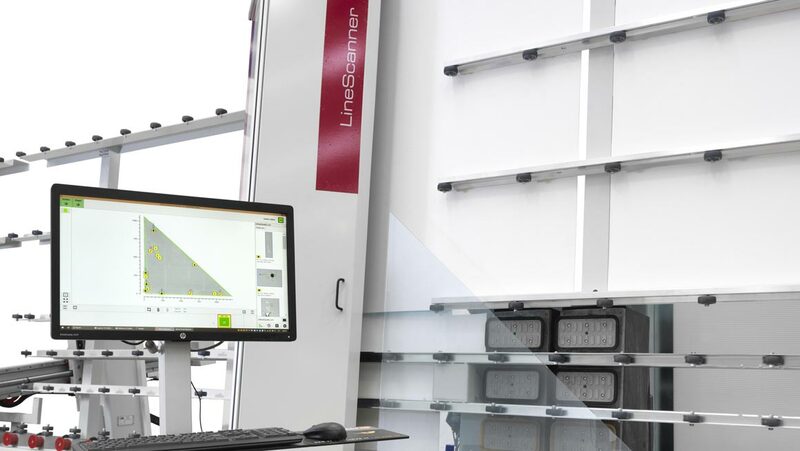 Operator workload and the risk of error are both drastically reduced, courtesy of the fully-automated loading phase and the automatic activation of the suction cups. When used in combination with workpiece recognition systems, such as automatic barcode readers or scanners, V-Loader enables the correct work programme on the vertical machine to be assigned automatically, with no operator intervention.